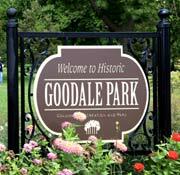 One of Lincoln Goodale’s greatest gifts to Columbus lives on today through Goodale Park. It is generally considered to be Columbus’ first city park even though the land for Livingston Park was owned by Columbus earlier. 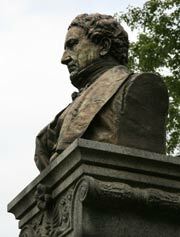 Goodale offered the acreage to the Columbus City Council on Bastille Day, the French liberation day, July 14, 1851. The deed transferring the land and its conditions was signed and filed in November 1851. Lincoln Goodale knew this would be a rapidly growing industrial area and he wanted to preserve an area of land as a place of beauty for the working people who would live and work in that area. The tract he donated was described as being a particularly beautiful natural setting with primitive trees and rolling hills with scores of wild flowers and a variety of birds. He could easily have sold this land for development since, at that time, it was probably in high demand or soon would be and therefore very valuable. As part of the deed, Lincoln Goodale required that 60 foot wide streets be laid out on the east side of the park and another one on the south side. 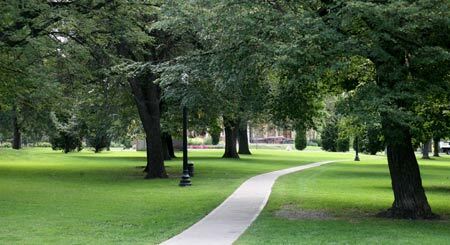 He also required that the park be called Goodale Park and forever be kept and preserved as a public park. William Neil and some other landowners in the area donated land for the roads that would be built around the park. At the time Lincoln Goodale sold the land to the city for $1 it was valued at about $40,000. Since then it has appreciated to be appraised at several million dollars by the time of the Goodale Park Centennial in 1951. At the outbreak of the Civil War, there was a call across the state for volunteers to serve in the war. Columbus became a rallying point where these young men came to enlist. Columbus. Recruits filled the city. Goodale Park was transformed into a military camp called Camp Jackson. The park was filled with tents and around 8,000 soldiers. During the brief period that Camp Jackson existed, most of the trees were cut down. Camp Jackson was a temporary solution to a growing problem of where to put all the recruits. In a few months, Camp Chase was completed and the camp was dismantled and returned to the city. Both Rutherford B. Hayes and William McKinley stayed at Camp Jackson. Goodale park not only host a multitude of events every weekend all summer long but is also a great meeting place for 4-legged friends and their owners. 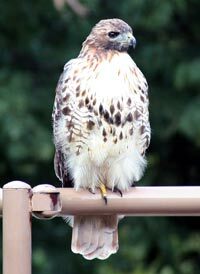 Each evening around 5:30 the pups of the village bring their owners to the center of the park for a get together. Newcomers are always welcomed. This park is a treasure and continues to be the heart of the village. Each September Viva Colori arrives at Goodale Park. Via Colori is a celebration of creative expression where the chalk hits the road. Hundreds of artisans put on their best down on Goodale Blvd. and Park Street. This annual event helps raise thousands of dollar each year for a number of worthy causes. Lincoln Goodale came to Central Ohio in 1805 and was one the areas first physicians. Dr. Goodale was also a successful businessman whose wealth and generosity allowed him to provide free medical care for the poor. Sunday is a special day for Jazz and poetry lovers. 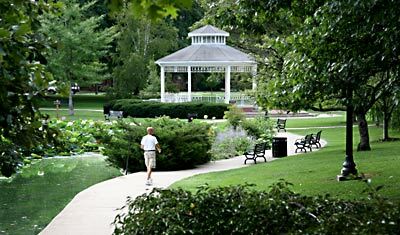 Each Sunday afternoon during the summer months features jazz music at the gazebo and poetry reading.